Green Building Store won a Queen’s Award for Enterprise: Sustainable Development 2009 for its ‘pioneering approach to sustainability’ and for providing ‘cutting edge sustainable products’. 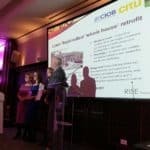 Green Building Store’s Lower Royd radical ‘whole house’ retrofit won the Vision and Sustainability Award at Leeds Beckett University’s R.I.S.E. (RESEARCH | INNOVATION | SUSTAINABILITY | ENTERPRISE “Celebrating Research and Development”) 2017 Awards. 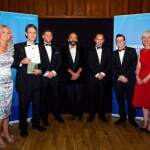 Green Building Store won The Legacy Award – Sustainability at Constructing Excellence Yorkshire & Humber Awards 2014: for its Cre8 Barn, Stirley Community Farm retrofit project for Yorkshire Wildlife Trust. In June 2008 Green Building Store won a BCE Environmental Leadership Award in recognition of its pioneering role in developing the Ecoplus system range of windows.